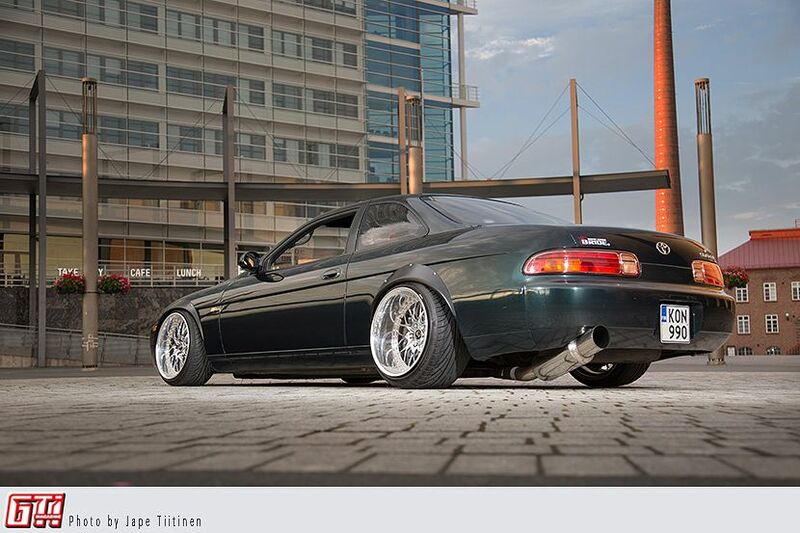 Kristian bought this MY92 Soarer in 2011, and it was in very good shape and 100% stock. The original plan was to do some restoring and register it, and then sell it for a small profit. 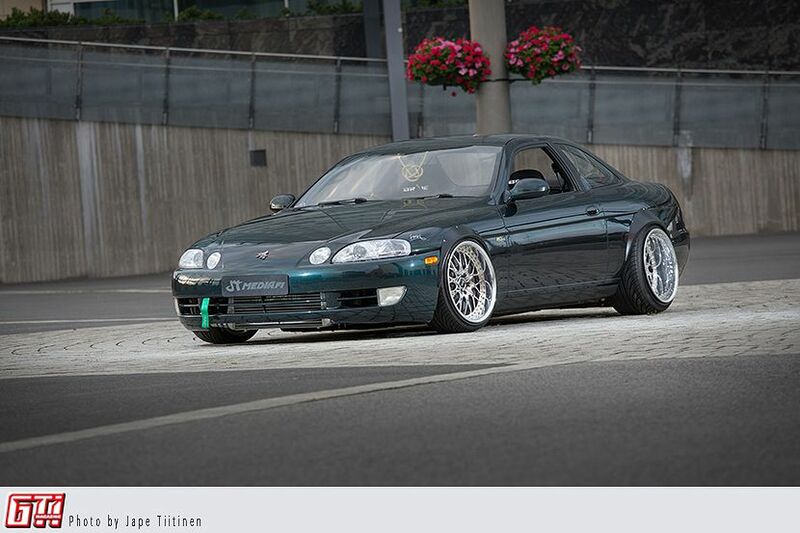 Turned out this Soarer was even better than expected, so Kristian decided not to sell it, even though the automatic gearbox was a big no-no. Thus the gearbox was changed to a Supra (NA) six-speed gearbox. 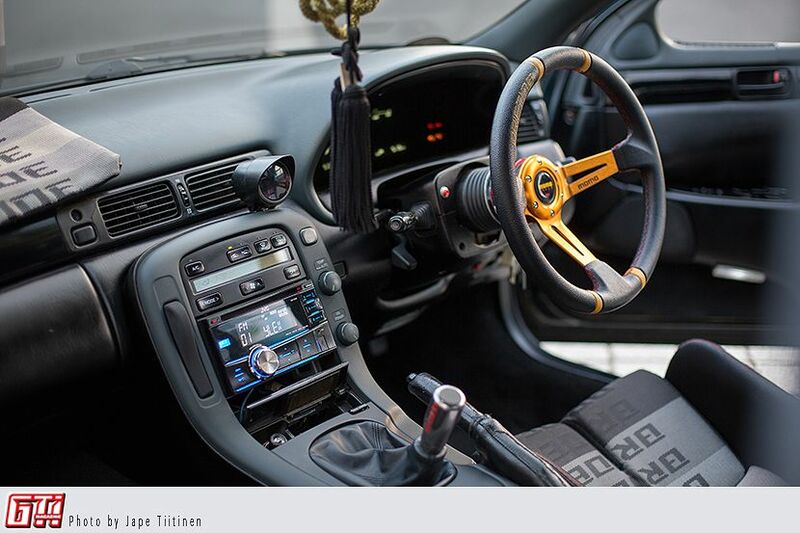 Some say that a nice car was ruined with too much modification, but the owner still grins like a lunatic every time he turns the key. That's the point of this hobby, right? 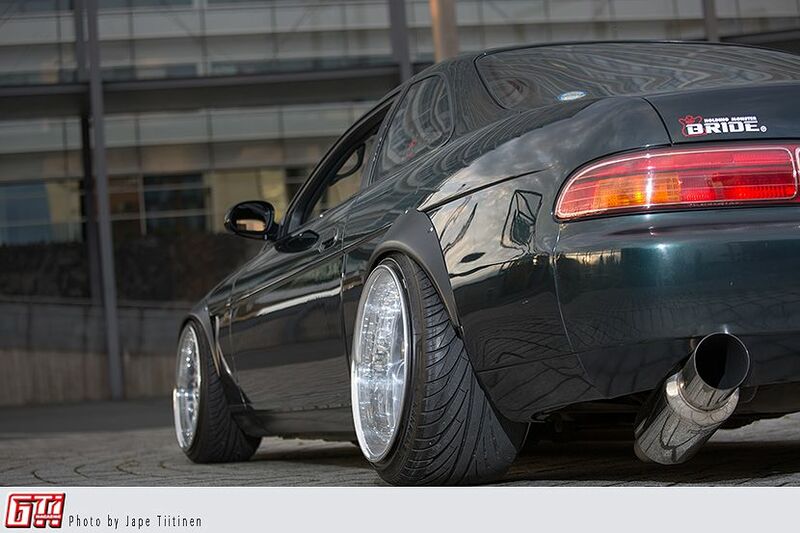 The rear wheels are 12.5 inches wide, so Kristian did some arch rolling and hoped that with enough camber the wheels would fit like a glove. That, however, was not enough, not by a long shot. Kristian had to cut the perfectly healthy wheel arches open and install universal fender flares. These flares widen the car 50mm in the front and 70mm in the rear, which, as you can see, gives the car quite a menacing appearance. The Work Rezax wheels were specced as 18x8,5” and 18x9,5” when bought second hand. 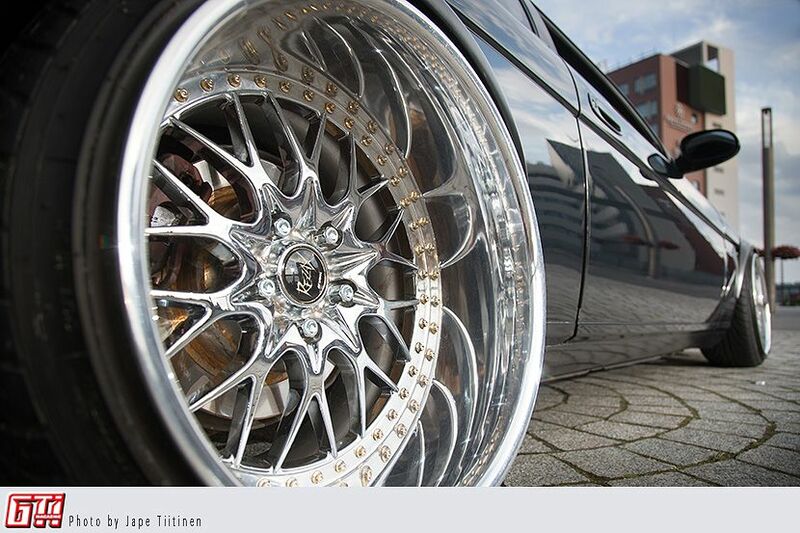 By changing some parts around, Kristian managed to create sizes 18x7,5” and 18x10”. The six inch wide lip seen in the picture was hard to find, and apparently there was only shop that could source these, and it was in the USA. It took a month of waiting for these lips to arrive to Finland, and the price was on par with a set of wheels. Worth every penny, though. One of the first things to undergo severe modification was the interior. The grayish interior was an eyesore, even though the panels were made of real wood. Every bit of faux leather was covered with vinyl paint and the roof lining was coated with spray paint. The wooden panels were hidden under black vinyl wrap. 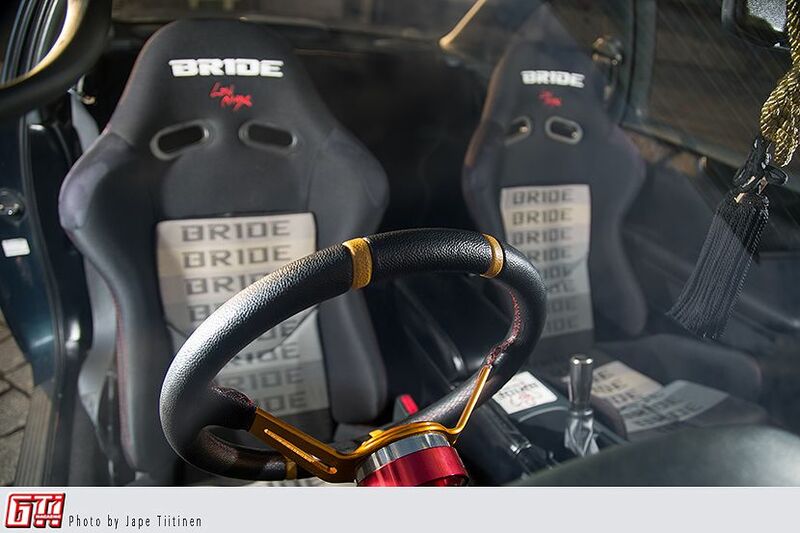 The factory power seats had to go, since these Bride Low Max seats suit the current form better. Rear seats have been removed altogether, and the rear space was upholstered to look like it was like this from the factory. The Momo snap-off steering wheel has a Sparco quick lock, so it's easy to take home with you in case you feel lonely. BC Racing coilovers were pretty easy to set up, and nothing rubs in the current setup. It's easy to get stuck with this, however, as was seen during the photoshoot. It might not be the most practical car out there, but it sure looks and sounds nice. 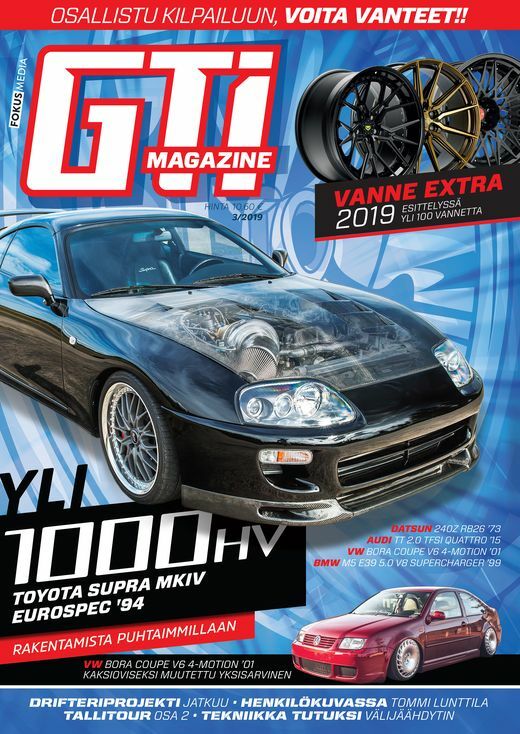 In stock form the Soarer has four silencers and a catalyzer: now it has one silencer..
A sturdier six speed ZF gearbox from a BMW, front wheels with more lip, more oomph inside the engine, Cusco roll cage and Takata belts.. the list is endless.